The trouble with Christians is you expect your God to take you out of trouble. I was offended at the words, but deep inside I knew this was true. My limited understanding of Christianity was that God would rescue me from all trouble. My method wasnt working for me and this comment provoked me to find what was real. So my journey began. I loved the writings of Paul, who seemed to be the tough challenging, questioning person who personified what I felt at times. Paul spoke about open doors with many adversaries. I understood that! He trusted Gods Word to him implicitly, accepting that punishment and imprisonment awaited him. So in everyday life I put Gods Word to practice and I found it to be true and powerful. I consumed stories of great leaders from the Bible and studied the strategies of army leaders. Paul teaches us in Ephesians to put on the amour of God, but I couldnt just play dress-up. The Word must be authenticated. Paul speaks of swords and spears, missiles the enemy hurls to destroy us. I studied missiles in modern warfare. That brought further illumination of the Word. I learned about the US Army NMD (National Missile Defense) system and found that I too, had my own (PMD) Personal Missile Defense system--the tested Word and the Spirit--positioned to disarm any missile the enemy cared to hurl at me. 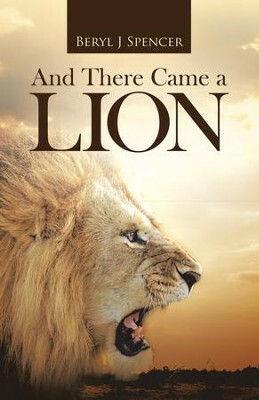 I'm the author/artist and I want to review And There Came a Lion - eBook.